It certainly is no secret that I love chocolate. I’m the one with the ginormous hoard of different brands and flavors of chocolate stashed away at the very bottom of a rarely used cabinet. I even have stacks of slightly cheaper chocolate for those times I don’t want to risk wasting my more expensive blocks on a new recipe that I’m unsure about. There is one type of chocolate, though, that has never graced the shelves of this rarely used cabinet, but I’ve been after myself to try it lately. This chocolate is kind of expensive because it’s just not any chocolate. 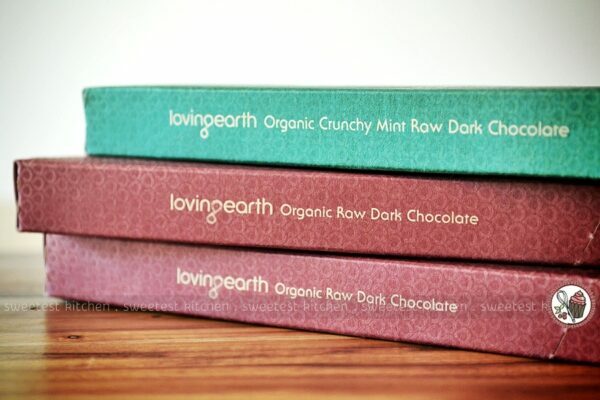 It’s Loving Earth chocolate, and it’s organic, it’s raw and it’s vegan. My friend, Tracey, who owns The Confectionery Hub at Berowra in Sydney’s northern suburbs has been requesting reviews on the products she and her family sell at the shop. When she sent out a call for reviews on Loving Earth chocolate, I was the first to respond! I was especially thrilled because it would give me an excuse to finally try this chocolate that hadn’t yet found its way into my stash! I decided to pick 2 blocks of good old pure dark chocolate and use it to make some sort of dessert. I also chose 1 block of peppermint to simply eat because it was hard to resist the temptation of dark chocolate, peppermint and cacao nibs. What you may notice first when you open this chocolate is that it melts quickly when you touch it. You’ll also notice how dark the chocolate is; it looks like pure unadulterated dark chocolate and simply indulgent. 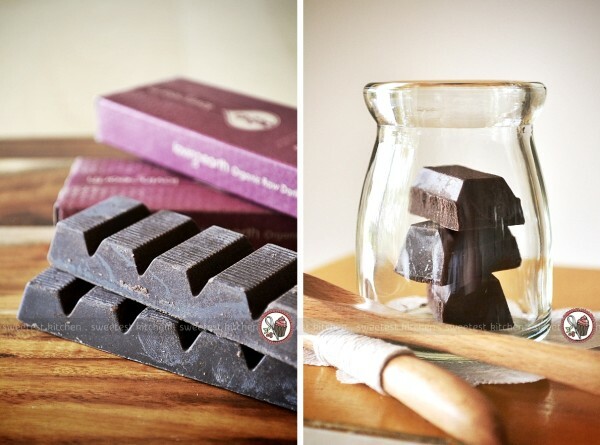 As Loving Earth’s chocolate is raw and very minimally processed, it will indeed taste darker and richer than the average supermarket chocolate block which also advertises a 72% cacao content. If you’re used to the average peppermint chocolate, you’ll have to keep an open mind when sampling Loving Earth’s version. I nibbled a few bites off my peppermint block; this wasn’t like any other chocolate I’ve had before. The taste was definitely dark – bitter and earthy. The peppermint flavor tastes like a grown up version of peppermint; it’s more subtle than I was expecting (not quite so in-your-face as some average peppermint chocolates), but yet at the same time, it was deep and intense. Cacao nibs studded throughout the block lent a gentle crunch to each bite. One of the main differences I noted between Loving Earth chocolate and supermarket chocolates is the texture. Supermarket chocolates are smooth and velvety, whereas Loving Earth chocolates are textured with what appears to be tiny bubbles of air; think Aero! You can see what I mean in the above photo. Okay, now that I had tasted, and enjoyed, my first ever Loving Earth chocolate, it was time to set aside the rest of the peppermint block and get to work creating something with my other two blocks. I sampled a small taste of the dark chocolate block just to get a feel for what I was going to be working with. As I imagined, sinfully dark! It was basically just like the peppermint block, only without peppermint or cacao nibs. This is our signature dark chocolate. It is for the purists, who like their chocolate pure and intensely dark. 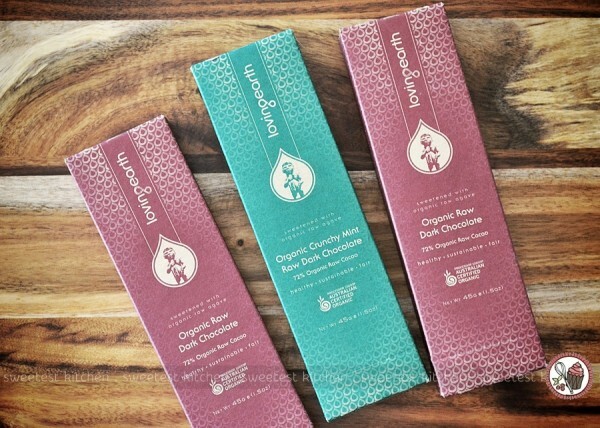 The 72% cacao content is a little bit deceiving because the cacao is raw and unprocessed, so it is quite a bit richer than a conventionally processed 72% cacao content chocolate bar. You will also experience the great flavour synergy of our dark wildcrafted Agave Syrup with the cacao, they blend together to create a distinctly original flavour. 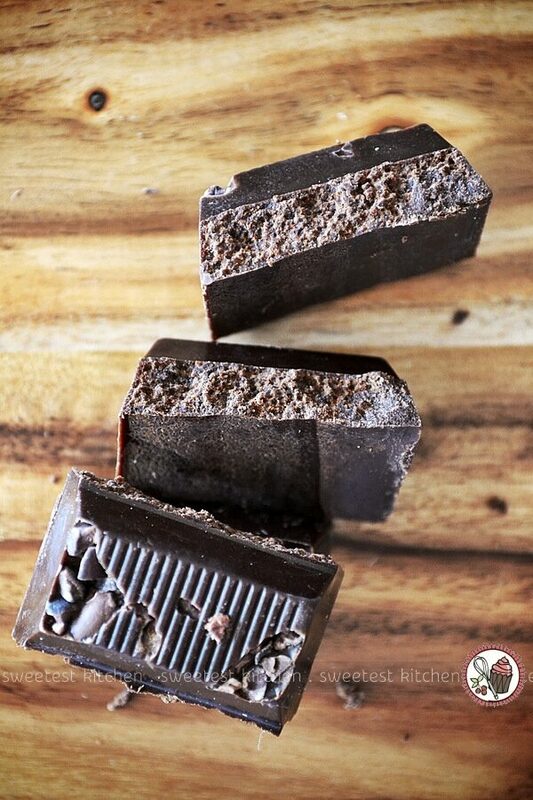 For those of you who have tried other sugar free chocolate bars and have been disappointed with the flavour because of the sweeteners used such as Maltitol and other ones that are too hard to spell, we trust that you will be sweetly surprised with this bar. We use whole Organic Vanilla Beans that we chop up and then grind into a powder. However we are careful to make sure there are still some good sized pieces in the mix so that every now and again you will find a small piece of vanilla to chew on, that leaves you with an explosion of vanilla ecstacy at the end of your mouthful. I decided upon chocolate mousse. But since Loving Earth is all about raw, organic and vegan food, I couldn’t make just any mousse. I wasn’t going to use eggs, or cream. No. I was just going to use water. Water and chocolate. Wait. What? You can’t mix water and chocolate! It will seize and be an awful mess! In case you’ve been living under a huge rock, I’ll break it down for you. There’s this man in France named Hervé This and he’s sort of a food magician. Officially, he’s a French chemist and basically, together with the late Nicolas Kurti, he’s the father of “molecular gastronomy“, even coining the phrase himself. It’d be safe to say, I imagine, that Hervé This is every serious foodie’s idol. Hervé This has made a number of amazing and interesting food discoveries, but I’m going to focus on just one. That is, making chocolate mousse (or chocolate chantilly, as Monsieur This would call it) with a block of chocolate and a splash of water. Most of you will know that while melting chocolate for your ganache, cake, frosting, whatever, even one drop of water will turn your melted chocolate into a clumpy, grainy, ugly mess. But what happens if you just add more water and whisk it crazily for a few minutes? You get a light, creamy, airy mousse that tastes like pure chocolate, because well, that’s all it is! One of the best things about making this is that if you whisk it too much and it turns grainy, you don’t have to bin it. Just return it to the stove, re-melt it and whisk again (but not as long, obviously!). 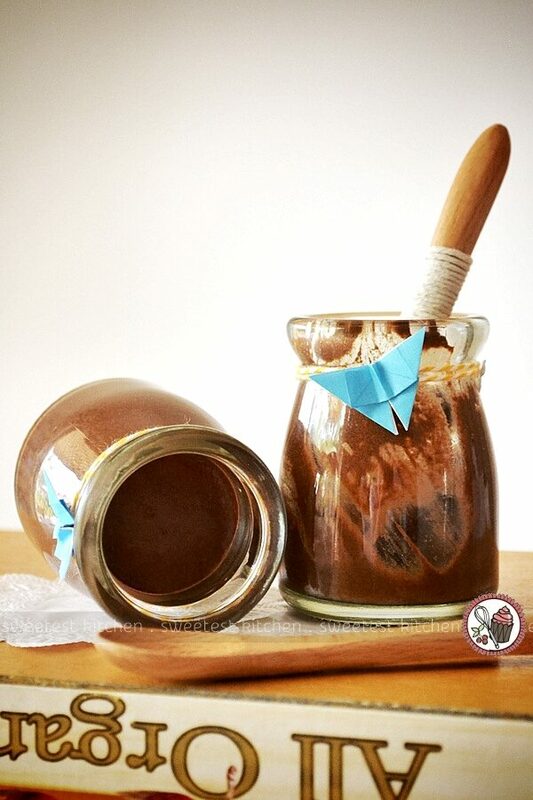 It’s a foolproof chocolate mousse. I know you want to make this right now. So here are some pointers and instructions. First of all, use chocolate that you like the taste of. Try to buy the most luxurious chocolate you can. This mousse is all about the chocolate; it won’t be disguised with gallons of cream and dozens of eggs. When you add the water to the chopped chocolate in the pan, I know you’ll be cringing. I did. But trust Monsieur This and just get over it – melt the chocolate and water together (over very low heat) like you have no regard for rules. Be a rebel. 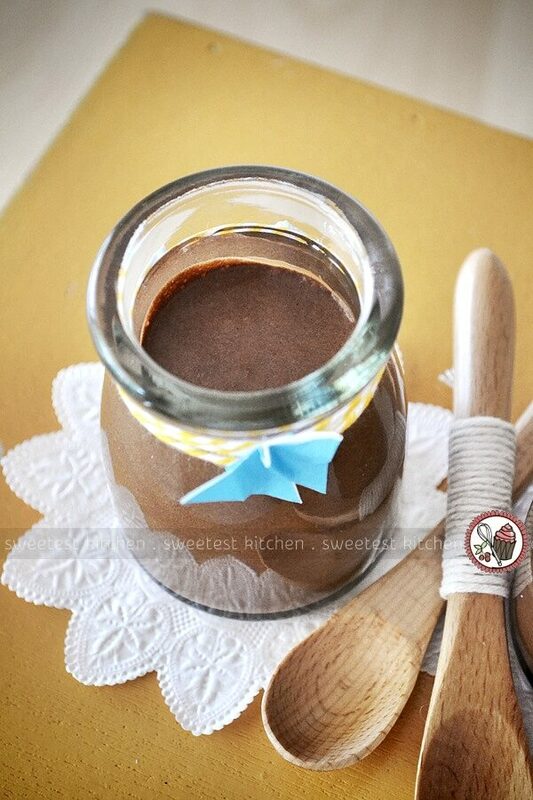 Whisk until the chocolate is melted and the mixture looks smooth and velvety. Don’t let it boil, though. Just simply melt it. Take it off the heat and pour that beautiful chocolate into the smaller bowl you should already have sitting close to you, and set the bowl into the ice bath. This is where it happens and it’ll happen quick, so pay attention to your chocolate mixture. You can do this one of two ways; by hand, or with an electric whisk (or handheld mixer). You’ll have more control by hand, so I recommend this method. However, I use an electric whisk. What you do now is whisk, whisk, whisk. 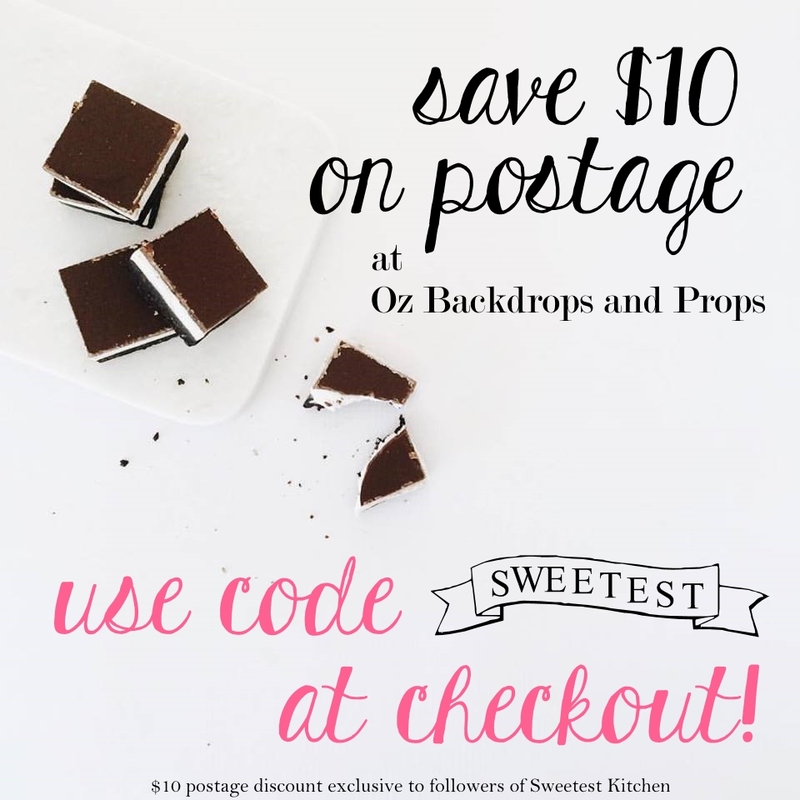 Whisk until the chocolate turns creamy and smooth – it can take anywhere from a few minutes up to 10 minutes, depending on the whisking method you use. Now, if you’ve whisked the chocolate for too long, you’ll know. It’ll be grainy and you might think, “oh no, I thought that this recipe was easy and foolproof!”, but no joke, all you have to do is return the chocolate to the pan, re-melt it completely, and start whisking again. But just don’t whisk as long this time! So you’ve reached that smooth and creamy consistency and if you’ve done this by hand, you’re probably aching. Yeah, sorry about that. Ignore it and pour the mousse into serving bowls/glasses. Let it sit for a few minutes to firm up (or pop it into the refrigerator until you’re ready to eat it, then let it sit at room temperature 10 minutes or so before eating). Personally, I found that the mousse eaten immediately after whisking wasn’t very chocolaty; it tasted like watered down chocolate (huh, imagine that!?). But once I let it warm back up to room temperature, it was delicious and tasted how it should taste – like pure chocolate. 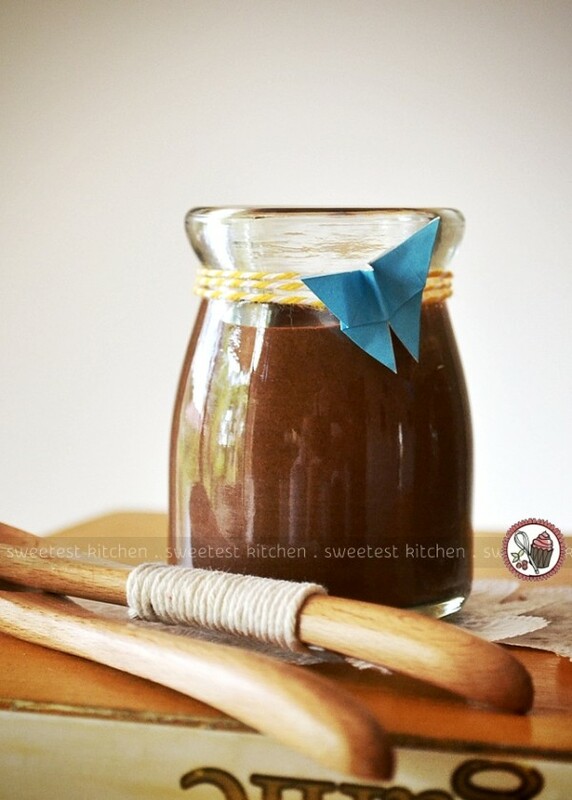 As the Loving Earth chocolate I used is very dark and earthy in flavor, and despite it being sweetened lightly with agave, I still added a dash of maple syrup, just before whisking, to sweeten it just a bit more for my personal tastes. Oh, and you can also add whatever flavoring you like to this recipe. Add spices (chili, cinnamon, etc.) liqueurs (coffee, cherry, orange, etc.). Top it off with some whipped cream (if you like indulgence) and there you have the most easiest and foolproof (and vegan-est!) dessert ever. * Thank you to The Confectionery Hub for supplying Loving Earth chocolates; check out The Confectionery Hub on Facebook for daily candy inspiration. Thank you for doing this recipe it is very helpful. The ‘likes’ on my FB page loved it!! Wow that’s a crazy tip about how to make chocolate mousse without cream!